Sometimes, we meet patients who are fond of their smile gap. Perhaps they have one between their two front teeth and they find it an endearing, unique part of what makes them an individual! Of course, as far as our Lake Orion, MI team is concerned, that’s just wonderful! 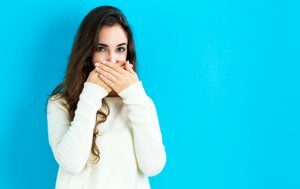 However, more often than not, we find ourselves speaking with patients who have any number of smile space concerns, which are interpreted as a negative factor. Maybe you don’t like how spaces look, you think they take away from your smile, or they’re causing problems. Good news: We can help! When you have just one or two spaces that need to be close or you have just a minor concern, addressing such issues is easier than you might imagine with dental bonding. What is this, you ask? Well, it’s a type of cosmetic care that allows us to make it look like your tooth has more tissue than it really does. So, if a smile space is bothering you, we can add “tissue” to one or both teeth, making them look wider, and creating the illusion that neighboring teeth are actually touching! Since we customize the shade of the material we use (composite), it will look like it’s really part of your tooth. If you would like to address smile spaces that are more widespread or you want to make additional improvement, we may suggest porcelain veneers. They’re extremely thin porcelain shells that we, of course, customize in terms of shape, size, and color, and that can close gaps! Of course, when your smile gaps are little or easy to fix and they don’t impact your alignment in a serious way, then cosmetic dental care is here to help! However, in other cases, your spacing may be connected with true misalignment, which means the order and configuration of your teeth are not permitting your top and bottom teeth to fit together in a healthy way. This may lead to problems for you in terms of easy and effective smile care, it may cause food to become trapped, you may be more vulnerable to TMJ disorder and bruxism, and more. If this is the situation, we may refer you to a trusted orthodontist, so you may learn more about systems and treatments that can beautifully align your smile. This will close spaces and provide you with a balanced bite for improved oral health. Recognize that when you are dealing with a gap between two teeth or additional spacing with which you are unhappy, our dental care team is here to help you! Contact us soon to learn about cosmetic care options. To schedule a visit for in Lake Orion, MI, call Lake Orion Family Dentistry today at 248-693-6213.